The Boston Turkish Film Festival is in its third and final weekend of it’s 17th annual program. As always, all screenings are at the Museum of Fine Arts in Boston. When orphan siblings Ali and Zuhal take their first steps into the big real world, it means committing a crime. They are forced onto the run and find refuge in a forest which becomes their own corner of paradise. Here, removed from the ‘civilized’ world, the two child outcasts get to relive the human story all over again. The screening starts at 12:30 PM at the Remis Auditorium, and tickets can be purchased here. Sine, a bright architect who is troubled by the shape of present-day architecture, designs an innovative, cave-like mosque inspired by the Seven Sleepers myth. The construction phase is beset with problems. Traumatized, Sine develops insomnia. She finally manages to sleep at a sleep-disorder clinic and sees herself in the myth of the Seven Sleepers. Waking from the dream, Sine has changed physically and psychologically. Each time she goes to the clinic, she changes, and each time her new selves act differently. Screening is at 3 PM, again at the Remis Auditorium with director Dervis Zaim on hand for a Q&A after the screening. Tickets can be purchased here. BTFF concludes on Sunday with two more encores – be sure to check back here for the lineup! 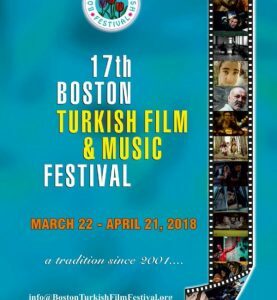 For complete information on the festival and all of its offerings this year, be sure to visit the official website at http://www.bostonturkishfilmfestival.org! Be sure to stay informed by keeping your browser on eCinemaBoston for complete schedule and ticket info! 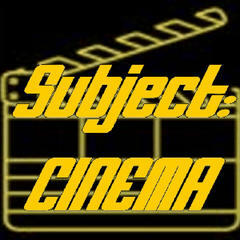 And don’t forget, BTFF will be part of our sister podcast Subject:CINEMA’s massive BSAF coverage throughout the month of May, and also in our huge BSAF SuperGuide PDF online magazine, also coming in mid-May!